Notes and reminders for publishers, agents, and magazines! This month, firstwriter.com is pleased to unveil a new notes and reminders system that makes it easier than ever to organise your search for markets for your writing. firstwriter.com is all about saving you legwork and making your searching quicker and more effective – we've done this already this year with the new abilities to save searches (so you don't have to keep entering the same details), and the ability to see what listings you've already looked at and when, and whether those listings have been updated since the last time you looked at them (to save you looking at the same listings again and again, and allowing you to target your attention more effectively). With the new notes and reminders, your firstwriter.com account becomes even more personalised and effective! So how do these new features work? The notes facility allows you to add your own custom notes to listings. These will appear right there on the listing every time you view it after logging in, but of course only you will ever be able to see your own notes – they are entirely personal and other users won't be able to see them. This means that you can jot down all kinds of useful information, such as extra research you've conducted about the listing; which of your pieces you think might be suitable; what you've submitted to them, and when. There's nothing worse than carrying out a search, finding a market that you know you've seen before, but not being able to remember whether you approached it, or dismissed it as a possibility, or why. Sometimes you can end up wasting a lot of time retracing your steps, reading through a listing and its website, only to find for the second of third time that little niggle that makes it seem unsuitable – now you'll be able to write that information directly on the listing, so that the next time you find it in a search you'll know exactly what conclusion you came to before. You can also search the notes you make, meaning you can use it as a tool to organise the listings you find. For instance, while searching for a publisher or agent for your current book you might spot others that might be suitable for the next book you're writing. You could add the name of your next book in a note on each suitable listing and then, when you're ready to start making approaches for that book, search your notes for its title. You'll be given a list of all the notes you wrote relating to your new book and links straight back to the listings! You can then edit or delete your notes to keep a track of which ones you've applied to and which ones you haven't. You can also add reminders to your notes, by adding a date that you would like to be reminded on. Your subscriber home page will then show a list of your upcoming reminders, and when they hit their due date they will turn red, so that you know you need to action them. They will remain as red reminders on your homepage until you dismiss them. This will stop them appearing as reminders, but the information will still show on the listing as a note. This feature has all kinds of useful applications: for instance, lots of agents, publishers, and magazines will promise to respond to your query or submission within a given period of time – some may even encourage you to chase them up after that time has elapsed. Keeping track of who to chase up and when can be a challenge, but the new notes and reminders make it a lot easier to keep on top of that aspect of placing your work. When you submit to a listing you can add a note to record the date you made your submission, and set a reminder to alert you in three months (or whatever their quoted response time is). If they respond before that you can edit the note to record the fact that you've received a response and remove the reminder; otherwise, after three months, that note will appear when you log in on your home page in red, and you'll know to send a follow up email to chase their response. You can then keep altering the date of the reminder so that it keeps reminding you to follow up until they finally respond and you can dismiss the reminder! In other instances you'll find publishers or agents temporarily closed to submissions, with dates for when they will re-open, or suggestions of when to check back for more information. Similarly, magazines often have particular reading periods, and if it's not within their reading period when you come across their listing you won't be able to submit. In the past, you might have passed over those listings and missed those opportunities, but now you can leave a note on the listing with a reminder to check back on whatever date they gave. When your reminder turns red on your home page you can click straight back to the listing and perhaps be among the first to get your submission through their newly-reopened door! The notes and reminders are available now to firstwriter.com subscribers via the agents, publishers, and magazines databases. If you haven't joined, you can sign-up today at https://www.firstwriter.com/subscribe! 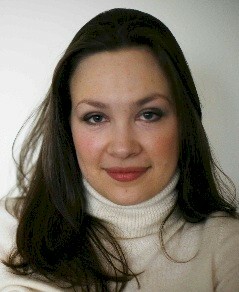 Lorna Elliott recently acquired a publisher using firstwriter.com's database of over 1,200 publishers. We asked her about her writing, and how she found success. fw: Thank you for taking the time to talk to us, Lorna. What is your book called, and what is it about? LE: The book is called International Trade and the Successful Intermediary. It's a business book that shows intermediaries how they can trade in commodities using the same rules and procedures used by large corporations worldwide. fw: What got you started writing the book? LE: I found my co-author Davide Papa's business FTN Exporting online. I was fascinated by his knowledge and expertise and immediately saw that the material he was producing had potential for publication. I emailed him and told him my views, and offered to collaborate with him on producing a publication for mass market distribution. I think he had been approached by others in the past but as I am a barrister he felt I would be able to provide valuable input into the book writing process. fw: Once you'd both agreed to write the book, how did you go about putting it together? LE: Davide and I wrote the book entirely by email. In fact, we've still never met or spoken to one another. It took about twelve months from start to finish. I'd work on a part, send it over to him and then he'd send it back to me for my input. It was like a long game of virtual tennis. fw: What did you see as the biggest challenges of actually writing the book? LE: I think there are two elements to writing business books. Firstly, and most importantly you need to have something to say and the expertise to be able to say it. Secondly, it's important to be able to structure and communicate those ideas succinctly and coherently in a way that can be understood by many. I've read a lot of legal textbooks that assume that people already have a working knowledge of the subject matter: Davide and I wanted to ensure that our book was accessible to people who didn't necessarily have any prior experience in international trade or the law. fw: Was it your first attempt at getting published, or had you written anything before? LE: I have had short stories and magazine articles published, and am lucky enough to have won several competitions, most recently a Northern Promise Award from New Writing North, which is the literary agency for the North East of England. I'm not yet ready to send the novel I'm working on out to agents, but I'll certainly be using firstwriter.com when I am! fw: So did firstwriter.com help you find your publisher for your current book? LE: The fact that this book has been published is purely down to firstwriter.com. Having been a member of firstwriter.com since 2005 I knew that it would be the best way to identify potential publishers. I started with "A", and didn't have to look very far – the second publisher I approached (Ashgate Publishing Limited) agreed to print the book. We were very lucky in that respect – I had envisaged months of rejection letters. fw: How did you select which publishers to approach? LE: I only approached publishers who had a track record in publishing similar types of books. I sent the queries out as an exclusive offering consecutively. Unbelievably, we found our publisher on the first day. The first publisher responded to my query within the hour to say that the book wasn't suitable for them, and the second agreed to publish. I'm not saying it didn't take time for them to say "yes", though. They conducted their own research into the subject and held meetings with their marketing department about how best to publicise the book if they did decide to accept it. I think the whole process took about six weeks before they confirmed that they would publish the book. fw: Wow! That's enough to make any author jealous! What do you think they liked about you? How do you think you're a good match? LE: We were able to demonstrate that there was: a) an unfilled need for this kind of knowledge b) that the subject matter was totally unique c) that we were qualified to write it. We were pleased to be accepted by Ashgate/Gower Publishing in the United Kingdom because they also have offices worldwide, and the subject matter of the book is inherently international. fw: What has the publishing process been like? LE: The publishing process has been quite labour-intensive, and we made significant changes during the editing process. However we accepted all the suggestions the editor made because we knew it would strengthen the book. Funnily enough I think the hardest part was compiling the index – it took me about a week to complete! fw: What advice would you give to other writers trying to get published? LE: The market for both fiction and nonfiction is really tough at the moment but my advice would be not to give up. If you really want to write, and have a burning passion to want to do it well, make sure that you're writing something that is commercially viable enough to be picked up by an agent/publisher. I have learned a lot from books about the craft of writing and Carole Blake's book From Pitch To Publication is invaluable for those who are serious about getting their fiction published. fw: So where do you go from here? LE: The book comes out on December 3, 2009, so we're sending out our press releases at the moment. As far as other writing is concerned I'm currently working on a legal thriller/courtroom drama. fw: Best of luck with it, Lorna, and thanks for taking the time to talk to us. Lorna Elliott is a barrister who writes extensively on legal issues in the United Kingdom and internationally. She is head of the European branch of the Academy of Global Intermediaries, and is currently writing a legal thriller based on her experience of working within the criminal justice system. She lives with her husband in the North East of England. 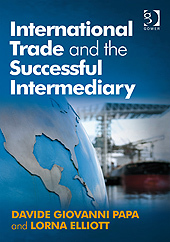 International Trade and the Successful Intermediary can be purchased directly from the publishers at http://www.gowerpublishing.com – fwn readers can enjoy a 25% discount by entering the promotional code G9CGS25 at the checkout! reading period began on September 15 and runs through to January 15, 2010, accepting submissions of up to six poems, short fiction and essays up to 7,500 words, plays or excerpts up to 35 pages, plus translations of poetry and short prose. For more details click here, or visit the website here. A new blog, resource, and community has been launched, dedicated to the art and craft of fiction. The site, called "Lit Drift", features editorial content, daily creative prompts, daily short stories, and a weekly free book giveaway. Reader submissions of anything from fiction to "bar napkin doodles" are also welcomed. Submissions are now being accepted for Volume 2 of the Fearless Poetry Series, Touching: Poems of Love, Longing, and Desire. For complete submission guidelines, click here. Volume 1 of the Series, The Light in Ordinary Things, has just been released. For information about this title, click here.